Well the Fiber Rendezvous was fiber-ific!!! I had a blast. 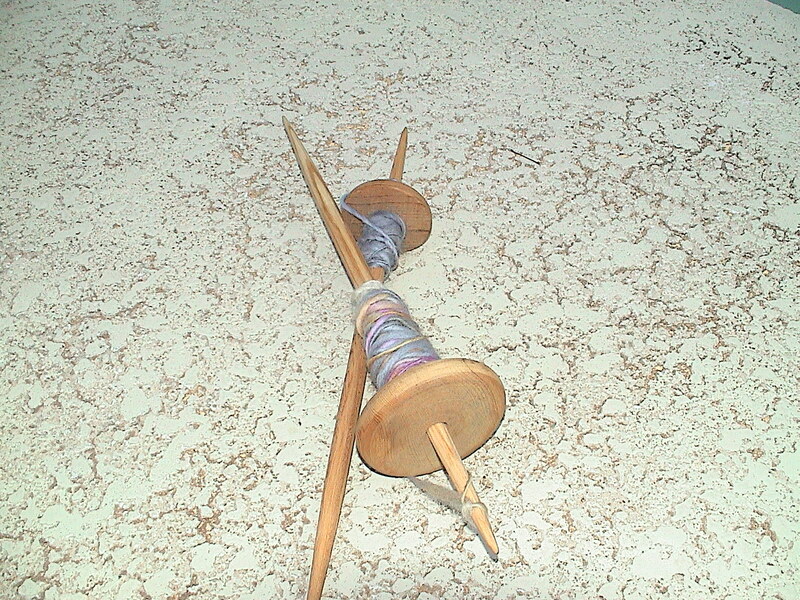 I did learn how to finally use the drop spindles that hubby brought back from Morocco for me in December. It was FUN!!!!! Posting pics to show off what I have learned to do. 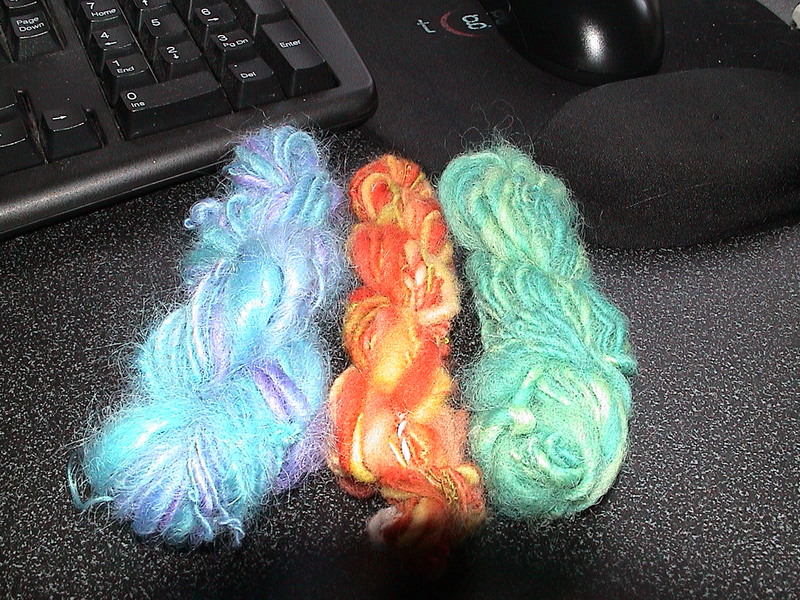 My tiny little skeins of yarn that I spun with my very own hands. Suky loves weaving, I have to go check out the book Kids Weaving again from the library. I am going to make her a PVC pipe loom to practice on and see if she really likes it, before I invest money into a loom. I am excited now about learning to use the wheel. Hand spinning is teaching me about drafting the fiber and getting it ready to spin. Here is some work in progress on the afore mentioned Moroccan spindles. This entry was posted in Dear Katie, Knitting.